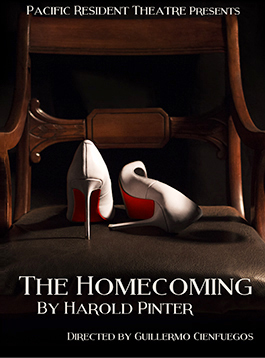 Winner of the 1967 Tony Award for Best Play and 2008 Tony Award for Best Revival of a Play, Pacific Resident Theatre is happy to present Harold Pinter's The Homecoming - the first production in Los Angeles in over a decade. Set in 1960's North London, Teddy returns home to introduce his wife to the family, where things don't go exactly as planned. The dark, sexual comedy challenges expectations of power and gender and shows that people aren't always as they seem. With a talented director and cast, The Homecoming won LA Times Critic's Choice. Tickets start at $25 and can be purchased here.